I’d never been to the Torrens shops before, but my friend booked us in for their first high tea and I will certainly be back. We were greeted with a glass of sparkling on arrival, and then the food began to flow. One of the highlights of this high tea was the fresh serving of each savoury piece, rather than all being lumped together to go stale/cold on a tray. Classy. First up were two mini sausage rolls, pork and lamb, served with a tomato relish. The pastry was crisp and buttery, and both had great flavour. This was followed up by the ‘Caesar salad in a pastry shell’ (refreshing) and finger sandwiches, which were perfectly fresh (no stale bread here!). The savoury highlight was a haloumi, preserved lemon and mint pastry roll – I could have eaten fifty of them! So good. There was a nice break between servings, and then came dessert. 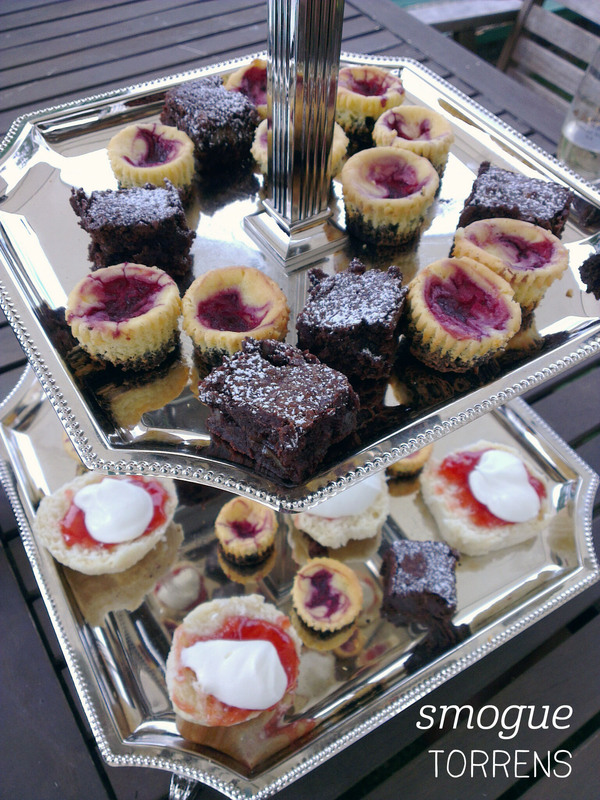 The tiered tray held 3 different goodies – scones with jam and cream already applied, mini raspberry and Oreo cheesecakes and mini chocolate brownies. Small portions turned out to be essential, as both mini desserts were super tasty and rich! The scones were also lovely, and went nicely with the tea, coffee or hot chocolates we picked. 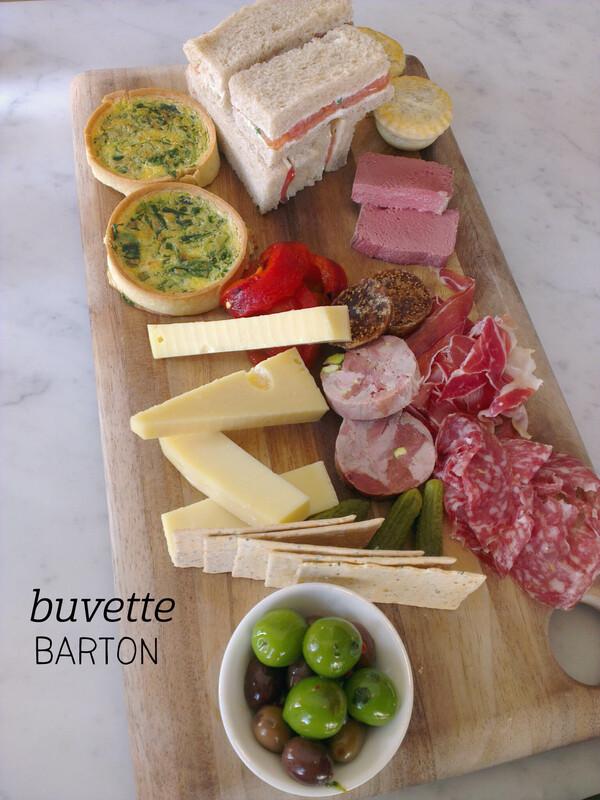 For $40, this is certainly one of the best value, high quality (although casual) high teas in town. Thanks so much for following along this year, I really appreciate each of your comments and likes – stay tuned for more adventures in 2017! 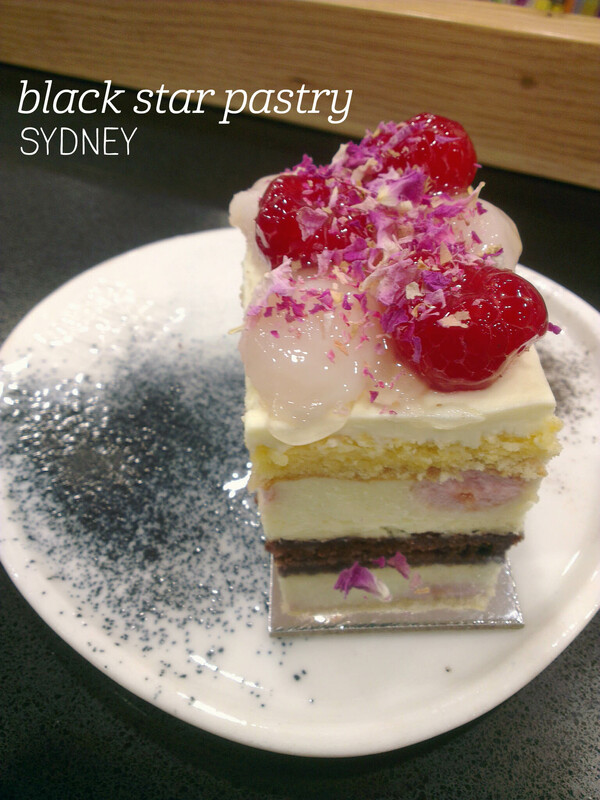 Kinokuniya is an awesome bookshop, made even more awesome by the presence of Black Star Pastry’s little dine-in cafe. We waited a while for a table to become free, then ordered a serve of the raspberry and lychee cake, which I hadn’t seen before, to eat-in. The glazed fresh raspberries and lychee on top looked so good dusted in edible rose petals – it was calling to me, what can I say? I had no regrets – this baby is as tasty as it looks. The cake is made up of layers of raspberry marshmellow and vanilla cream, and – surprise! – there’s a rich chocolate biscuit base that anchors the cake literally, and pulls the light, sweet flavours together too. It’s quite a sweet cake, although the raspberries give a nice tartness, and the light, fluffy cream layers are particularly lovely. Mum got the lemon and pistachio zen cake, with lemon curd and pistachio dacquoise, which was also refreshing and scrumptious. You basically can’t go wrong here. Autolyse is such a lovely spot for cake, especially when the sun is out. A friend of mine was down from Sydney and we stopped by for a late afternoon catch up, snagging a table outside. I grabbed a small ‘Happy’ juice ($5) from the fridge and (for once) chose the decadent option of salted caramel tart ($6.50) instead of the fruit tart. I have no regrets. The juice, with apple, pineapple, ginger and mint, was lovely and refreshing. The small jar was a good size, although I do love the pretty large jars with their Autolyse labels (next time). The salted caramel tart was beautifully presented, with tempered chocolate curls on top and a dash of edible silver glitter on the diagonal. The tart shell was a chocolate pastry, which was just the right consistency – not too firm, not too crumbly, just perfect. Within was the silkiest, smoothest layer of caramel and chocolate ganache. Seriously, each mouthful was pure luxury texture-wise. Thankfully, Autolyse has found the right balance with the salt, so it doesn’t punch you in the mouth, but does enhance the caramel flavour. The chocolate curls melted on the tongue, and the whole chocolate flavour was complex and rich without being sickly sweet. Yum, yum, yum! #sydneyweek ends with a bang! I’m heading off on holidays so the blog will be quiet for a couple of weeks. Keep in touch with my travels on Instagram – see you in September! So, when cake is dusted in gold, there’s really no way I can resist it. The Royal Cake at the gorgeous Grounds of Alexandria called to me through the cake display (which is saying something, as everything in there looks fabulous). The layers in this hazelnut dacquoise were simple but perfectly executed – the majority was milk chocolate mousse, which had the Goldilocks just-right balance of weight – not too light, not too heavy. The mousse clung to my fork and dissolved sinfully on the tongue without being sickly or too rich. Hazelnut and milk chocolate are a match made in heaven, and this was no exception. 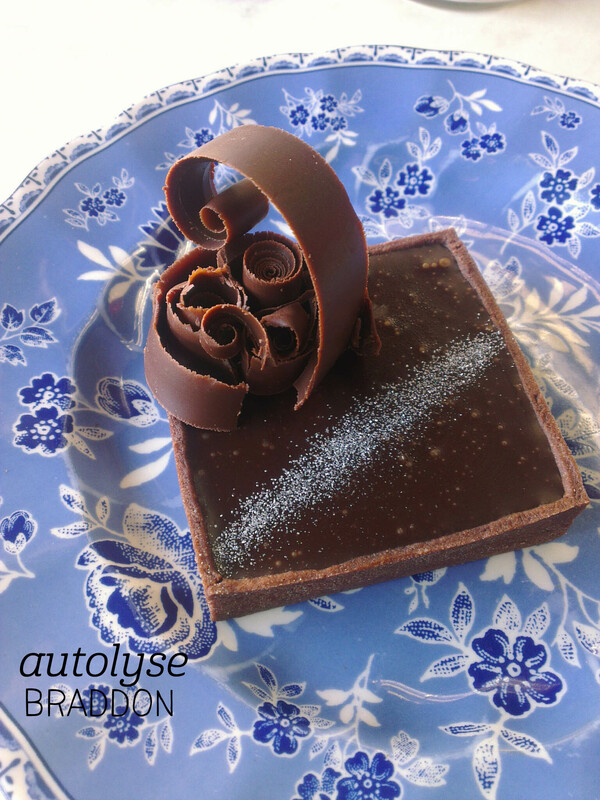 The hazelnut layers had a bit of crunch but a lot of flavour, lifting the mousse to the next level. 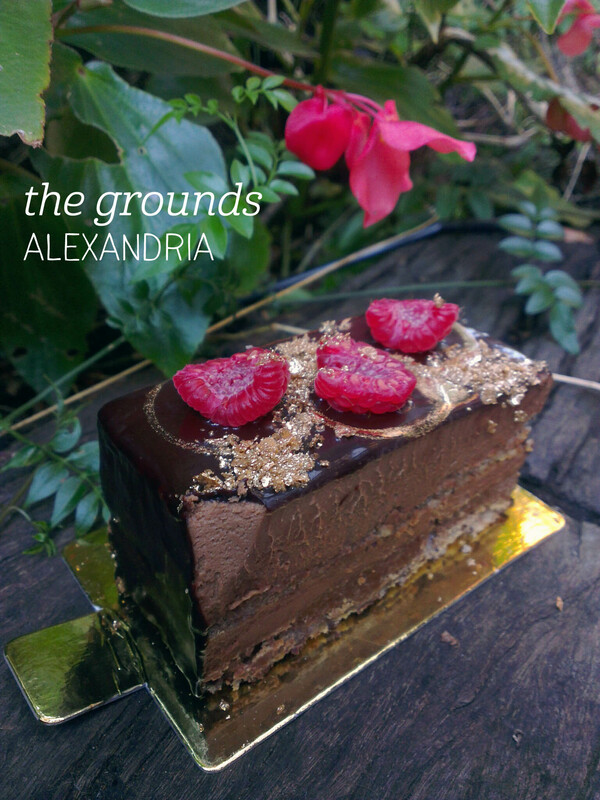 The bottom layer was an almond crunch – this layer brought the textural balance, and reminded me of a Ferrero Rocher. The best mouthfuls had a bite of the fresh raspberry wedges on top – the tartness of the fruit cut through the chocolately richness and got my taste buds going. I couldn’t imagine more perfect surroundings to enjoy this delight in either. Definitely suited for royalty – I could get used to this! Petal Met Sugar isn’t the kind of place you can just order one thing from. I mean, look at their delicate, elegant sweets! So we ordered two cakes to share – the Vanilla and Rhubarb Eclair ($7) and the Salted Caramel ($6). The Eclair had a strip of dried rhubarb laid on top of a thin layer of sweet icing, but when you bit into the the soft, springy choux pastry, there was the lovely discovery of vanilla creme patissere. This paired delightfully with the sweet rhubarb jam also hidden inside – the flavours were subtle and sophisticated together. 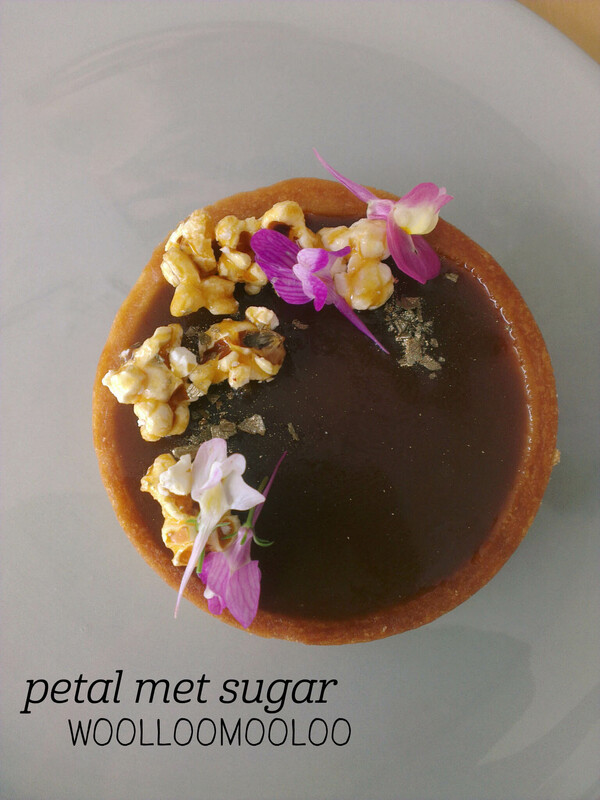 Next was the Salted Caramel, which was visually stunning – encased in a tart shell and topped with edible flowers, caramelised popcorn and gold sea salt (seriously, wow!). True caramel fans rejoice! This dessert takes your caramel just to the point of toasted bitterness that requires real skill – surely a moment longer and it would have been burnt. The result is a really rich flavour that has far more complexity than something less-cooked, and I found the balance of the salt just right for my taste. The popcorn added a fun textural contrast too. My conclusion? Everything here is pretty much perfect. After a fabulous savoury course, it was time for the sweets. 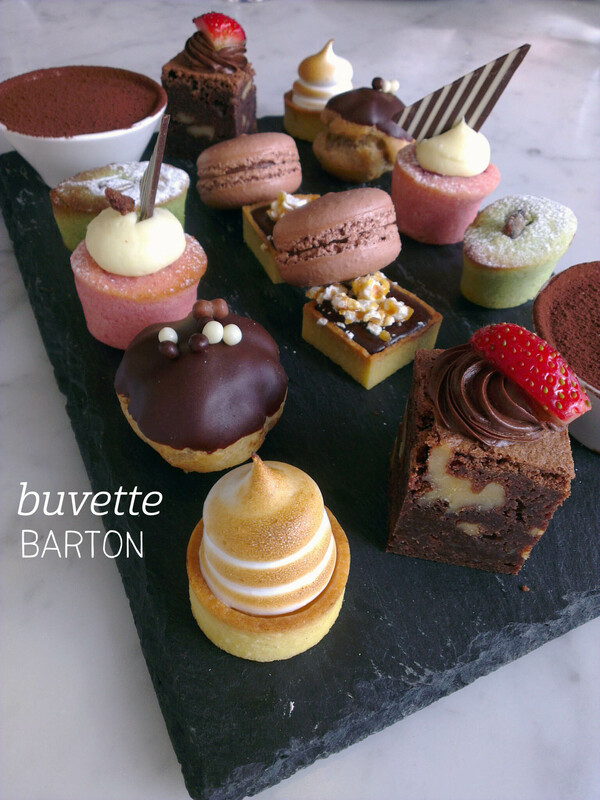 We had tried to pace ourselves, but ended up only trying the least portable desserts, and getting the rest takeaway (thank you Buvette!). I started with the lemon meringue tart, as the lightest of all the flavours. The meringue was so glossy and soft, it just melted away into the sweet pastry and delicious lemon curd base. Yum. Next up was the profiterole – now usually I’m not a huge fan of these, as they can be bland compared to other sweets, but this one had such great quality chocolate and a caramel-flavoured filling, that it has change my mind about what a good profiterole can be. The tiramisu was a highlight, although by then I had reached dairy saturation, so only tried the coffee-and-liqueur-soaked cake – it was stronger on the coffee than the liqueur, which was probably good to counteract the sleepiness from so much eating. Of the sweets I took home, I particularly liked the strawberry friand – it had great flavour and actually smelt really great too – and the salted caramel square was also divine. Highly recommended for a special occasion, or just to celebrate the weekend!